A really simple but fun activity for all ages! 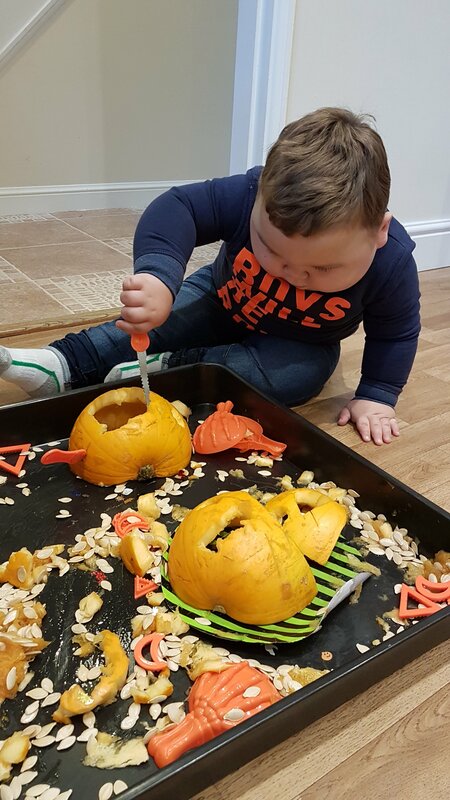 This sensory tray gives children the opportunity to explore the pumpkins. The smell and texture. It’s a great chance to talk about seeds and how they can be planted to make new pumpkins! You could even roast them and make a little snack! I gave the children some safety knives and pumpkin carving knives and scoops so that they could practice their cutting skills and scooping out the insides. Transport theme – Car park name recognition!